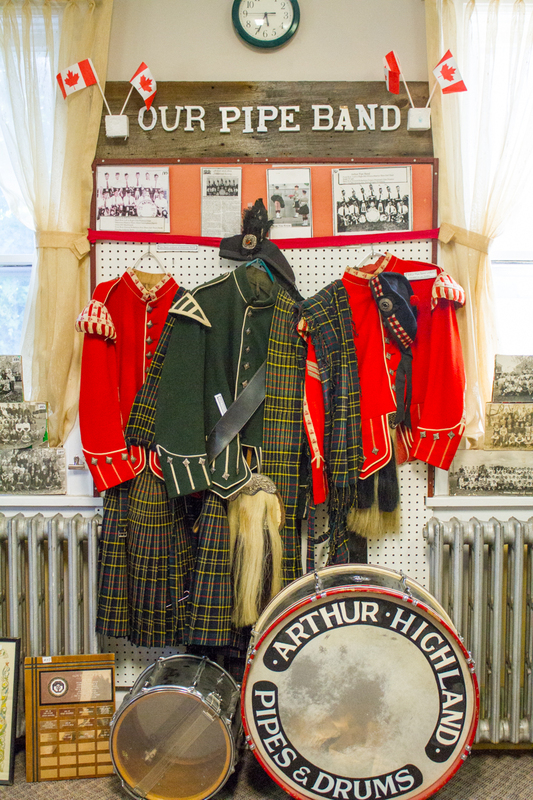 Arthur and Area Historical Society was founded on January 29, 2003 to collect and preserve artifacts and documents of local and general interest. 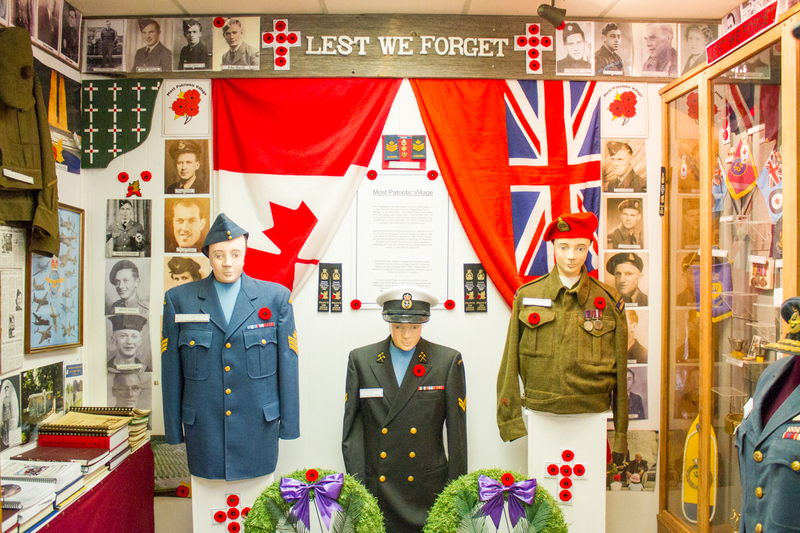 Because Arthur is known as "Canada's Most Patriotic Village" there is a strong representation of its military history. The Society is active in projects of many kinds throughout the community. 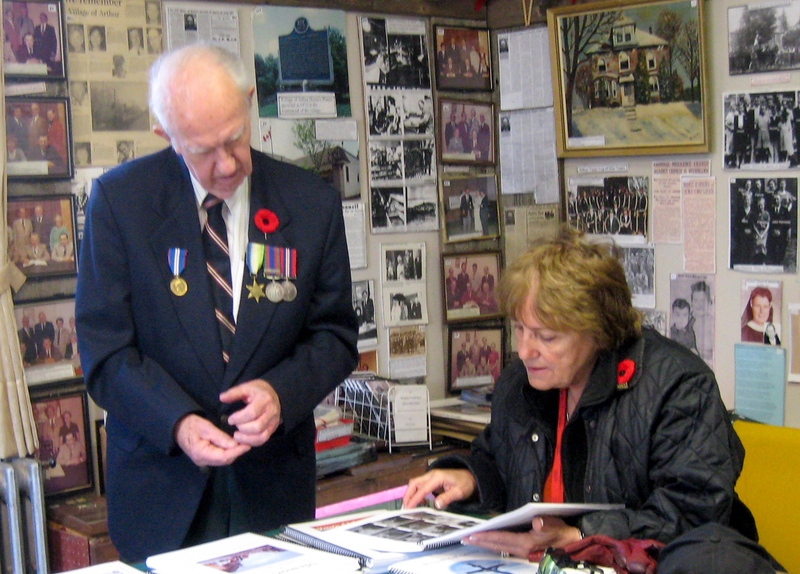 Members have initiated and worked on: four murals depicting area history; walking trails; signage for area historical sites; presentations for retirement homes; walking and bus tours; and many other projects and events. 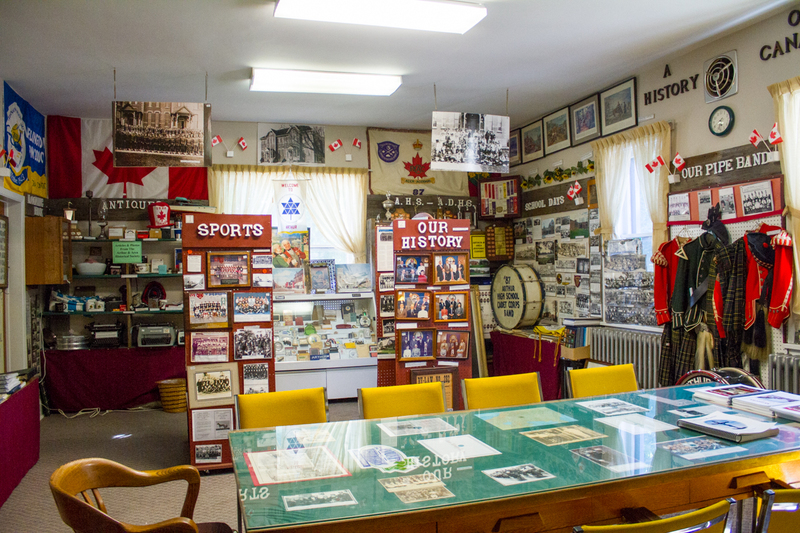 Located at 146 George Street in Arthur, the Historical Rooms and displays are open to the public for viewing or research every Wednesday from 1:00 pm - 3:00 pm, or by appointment. Monthly meetings with presentations on wide-ranging topics take place at the Rooms on the fourth Tuesday of every month from 7:30 pm - 9:00 pm. A mural showing the surveyor Augustus Jones, his First Nations crew and survey instruments used to survey a road from Burlington to Arthur. 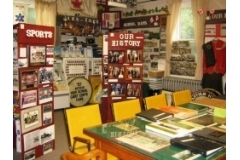 A series of 3-panel murals depicting patriotism during World War 1, World War 2 and peacekeeping missions. 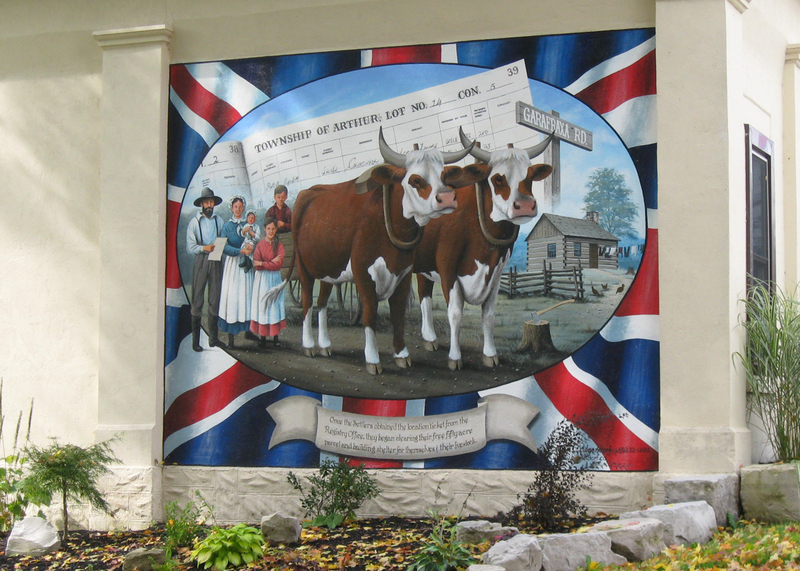 Mural of a pioneer family with their 2 oxen. They have just received their location papers entitling them to 50 acres of land.